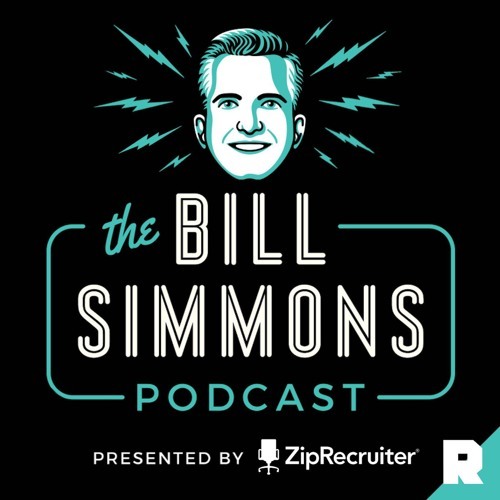 HBO and The Ringer's Bill Simmons is joined by billionaire investor and ‘Shark Tank’ star Chris Sacca to discuss Google's profit ceiling (8:00), Twitter's lack of innovation (20:00), YouTube vs. Google Videos (28:00), the genesis of Uber (38:00), the e-sports revolution or lack thereof (46:00), Snapchat's success (1:01:00), Mark Cuban and 'Shark Tank' (1:11:00), and the future of live video at sporting events (1:16:00). is Rex an apple app? Just a really insightful podcast. Great podcast, hearing about his journey was enlightening. I was amazed at the fall that he took and the resurgence he had. Lastly Bill believe in ESPORTS its not going away. @william-hanlon-306469694: That was an amazing podcast Bill Simmons. Take a week off, maybe two. Don't worry about the NFL draft, the NBA Playoffs, the NHL Playoffs, Major League Baseball. Just don't worry about your audience, advertisers, your not the "Sports Guy"! And by the way, you seem to be enamored with your brief time doing a pre-game basketball show on real TV, think people remember you from that. People don't. Your embarrassing yourself every time you mention it! 3rd time listening to this. Absolutely amazing pod. Maybe my favorite BS podcast ever. Chris is a fabulous interview. Love to talk shop on Business. Um, they missed the whole part about how gmail could datamine your email and serve up ads based on that. K-Mart, the Sharper Image, history is littered with once proud companies, people, and stories of once great ideas run a muck. Bill Simmons, having enjoyed real success doing one thing, has decided that he has broad enough support to do what he wants, when he wants, and what his fans and supporters want is a secondary concern. Bill Simmons after all is the successful one, and he has the vision to know what is best. The Peter Principal, the excess of success, whatever you call it, is there anything more painful than driving past a once thriving outlet mall in Kansas, or a shuttered Sears retail location? By all means King William, more investment advice, more Game of Thrones insight and dribble. Cannot get enough of that. Joe House, Cousin Sal, even Mr. Simmons Sr., you are the future Wal-Mart's of the world. The "better" outlet mall closer to town. Start your own podcast and lets put your "Sports Guy" out of business now, rather than later. I recommend BEST SPORTS BETTING SITE! Free bets, 100% bonus on first deposit is grеat. www.sportsbet.do.am Sign up if уou are looking for a good site for sport betting!! Why wasn't there a Periscope of Simmons watching the NBA draft? love the podcast...but seriously why are you not talking NBA...we are in the middle of the playoffs..what gives? Love the wide range of Pod's but there is a serious lack of NBA pod's. We are in the thick of the playoffs. I love the "hustle" of Chris Sacca. This was fantastic. Thanks for the insight. He really comes off as a braggy creepy in all this. Paying people to do pushups? If he were a Wall Street instead of a SV he'd be crucified for this.